You can add an action that triggers a workflow to run processes on your data. To integrate these tasks into the opportunity qualification process, the actions must appear on the opportunity business process flow. 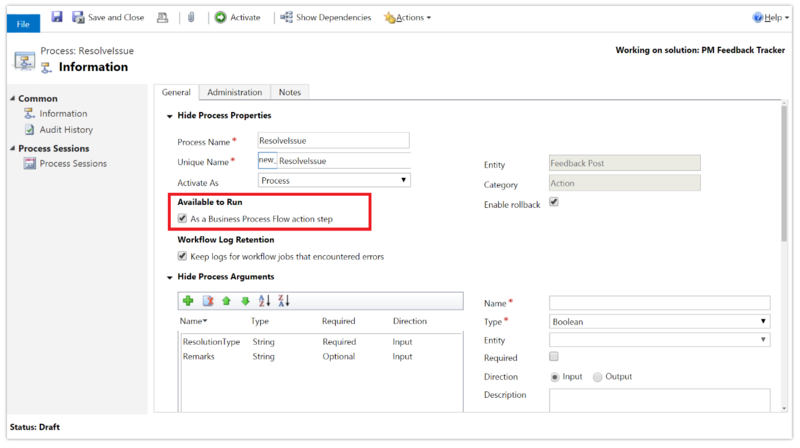 To enable this functionality, under Available to Run, select As a Business Process Flow action step. 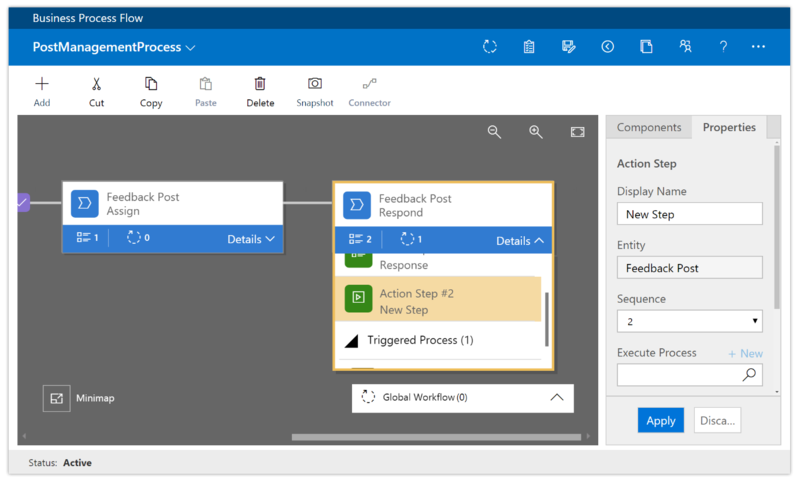 Next, add the action step to Contoso’s Opportunity business process flow, and validate the process. 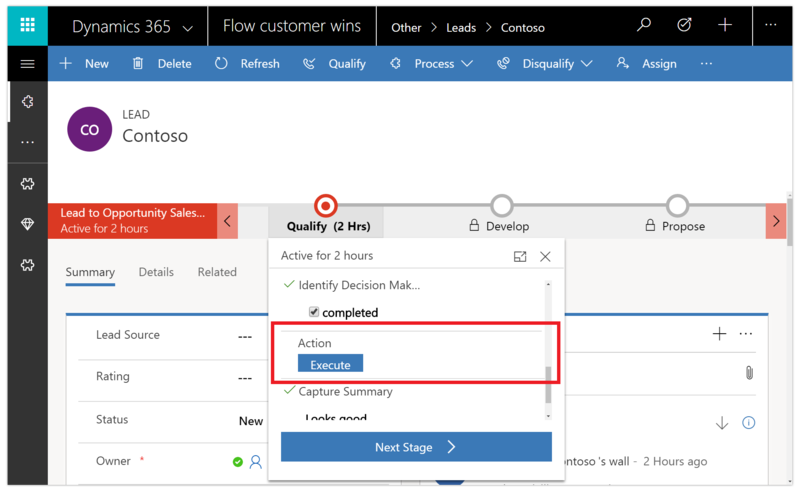 Now, members of Contoso’s salesforce can start the action from the Opportunity Qualify business process step whenever they want by selecting Execute. The business process flow must include an action step. If the action step runs a workflow, the workflow must be configured to run on demand.